PESHAWAR (WebDesk) Pakistan Tehrike Insaf (PTI) former MPA Fauzia Bibi from district Chitral has filed Rs 0.5 billion defamation suit against PTI chief Imran Khan over alleging her of taking money during Senate polls. The suit served under section 4 and 9 of Defamation Ordinance 2002 through her legal counsel Advocate Syed Ghufran Ullah Shah prayed that the court may order recovery of Rs 0.5 billion as damages for defamation. 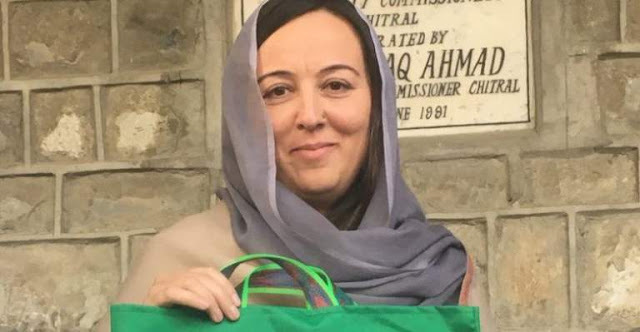 It said that she belongs to a very respectable family and well known in district Chitral and possess unblemished past record and had served political position from 2013 to 2018, where she was assigned with the responsibility of Parliamentary Secretary for tourism. Fauzia said that being parliamentary secretary her performance was appreciated and acknowledged by international and national stakeholder. Bibi maintained that she cast her vote in favour of PTI candidates in Senate elections as part of her religious, moral and constitutional obligation, but after Senate poll Imran Khan Niazi started uttering, spreading and resorting to malicious baseless and unfounded allegation of horse trading by way of selling her vote for money which was broadcast on all medical channels. She said in response to the allegation and show cause notice served to her she requested conduct on inquiry against her, personal hearing to confront with all material or witnesses produced against her but Imran Khan failed to constitute or conduct an inquiry and even could not show any proof of information supporting his defamatory statement. She said that Imran Khan had destroyed her person and personality and committed political assassination of her there she served a notice upon Imran Khan under section 8 of the defamation ordinance 2002, but he failed to comply with the notice within the statutory time hence she had filed the defamation suit. She prayed that the court may provide here justice and accept recovery of 0.5 billion from Imran Khan under sections 4 and 9 of the defamation ordinance 2002. It is to mention here that PTI’s two MPAs from Khyber Pakhtunkhwa had also served legal notice of Rs one billion to PTI chairman Imran Khan for alleging them of taking money during senate polls. The notice was served by Yasin Khalil and Qurban Ali under section 8 of Defamation Ordinance 2002 through their legal counsel Advocate Danish Afridi, Barrister Mian Tajammul Shah and Khalid Ali Khan asked Imran Khan to tender apology over his allegations of horse trading and selling vote against Rs 40 million against the two MPAs.